As New Jersey embarks on a plan to improve child care quality, child care providers say they operate on shoestring budgets that prevent them from delivering the best possible care to young children, according to a new report released today. In a statewide survey and focus groups conducted by Advocates for Children of New Jersey (ACNJ), child care providers agreed that they struggle to offer quality care at a price that families can afford. They also said that state reimbursements for subsidized child care are too low to meet even their basics expenses – staff, rent and utilities. “It is alarming that we fail to provide the resources needed so that children of working parents spend their days in stimulating, nurturing environments,” said Cecilia Zalkind, executive director, Advocates for Children of New Jersey. Zalkind pointed to a recent report from the National Institute for Early Education Research at Rutgers University. The report found that the average level of care for infants and toddlers was below average. “This is detrimental to young children’s development and has widespread negative effects on our communities as a whole,” Rice said. The report notes that more than 400,000 New Jersey children age 5 and under spend at least part of their week in some form of child care. 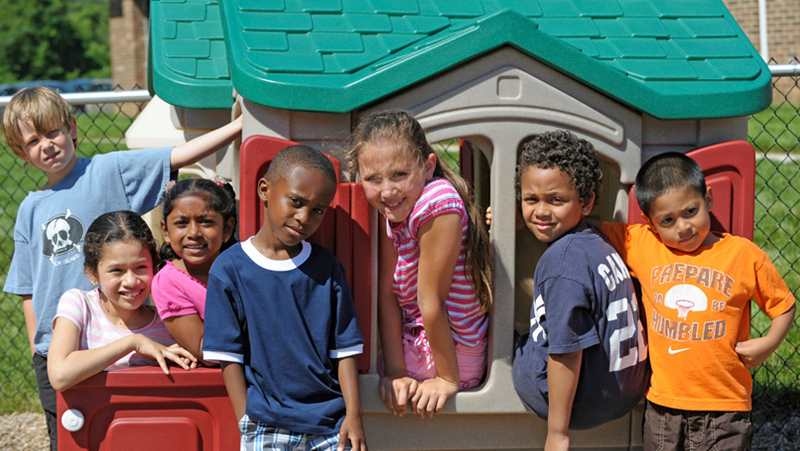 In December, New Jersey was one of six states to receive a $44 million federal grant to improve child care quality. Much of the federal dollars will be used to implement Grow NJ Kids, a system aimed at improving and rating the quality of child care in centers and homes across New Jersey. Implementation has begun in 56 child care centers located in three counties and in Newark. While the infusion of the federal dollars is welcome, strategically using those funds to maximize their impact is crucial, Zalkind said. To help inform this effort, ACNJ surveyed more than 400 child care providers across the state and held three focus groups to identify barriers to providing high-quality care and what providers need to create the best possible environments for young children. The report found that child care providers struggle to afford key components of high-quality care, including low child/staff ratios, qualified teachers, meaningful staff development, supplies and equipment, adequate facilities and forging strong family partnerships. The state reimbursement rate for child care subsidies has been stagnant for five years, the report noted. This makes it even more difficult for those caring for children living in low-income families to provide the level of quality so critical for young minds, the report said. Many child care centers in low-income communities accept state-subsidy payments of $34.75 per day for an infant and $28.65 for a preschooler. According to the National Women’s Law Center, New Jersey’s reimbursement rates for center-based care is roughly 40 percent lower than the national standard, or about $400 a month lower than it should be. The majority of survey respondents said they lack adequate funding to pay staff decent wages, let alone to provide professional development and to upgrade facilities. “We have excellent teachers, but there’s never an upgrade in their salaries. They may love their jobs, but they still have to live and what they’re doing is worthy of an increase in salary,” said one director from southern New Jersey. Increase the rate at which the state reimburses providers for caring for children from low-income families. The current rate is about $400 a month below market value and prevents providers from improving child care quality. The higher education community should review and modify classroom content and practices to ensure that early childhood education students acquire the skills needed to be effective teachers for all children from birth to age 8. Provide scholarships for early learning teachers so they can return to college to obtain a BA and an early childhood certificate. This effort should also provide teachers with other needed supports, such as additional dollars for transportation and books. Provide mentors to early education teachers. Provide additional staffing supports, such as nurses, curriculum supervisors and family workers to enhance child care quality. Improve state guidance and supports regarding security issues. Providers said they are ill-prepared to meet the growing needs of security and emergency management. Join the campaign to let our state leaders know: The Future Begins with Babies. Learn more. This report aims to create health equity through public policies that will help to close health gaps, broaden opportunity, and ensure that everyone in NJ can live the healthiest life possible — regardless of who they are, income or geography. In collaboration with early childhood advocates, ACNJ will use the grant to help strengthen and streamline a more efficient, effective and well-funded system of early care and education.